Election judges who work long hours in rural areas had expressed safety concerns, a Republican lawmaker told Paxton in March. 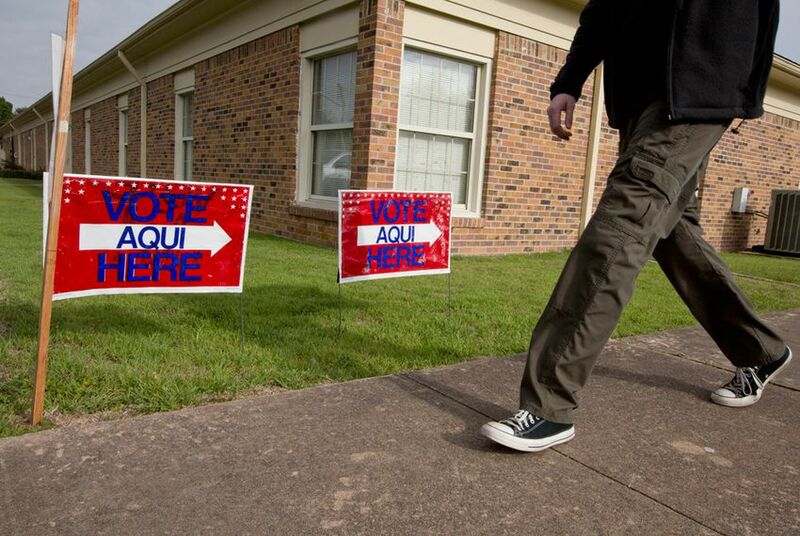 Firearms are generally not allowed at the polls while voters are casting ballots in Texas. But with some limited exceptions, presiding election judges who are licensed to carry may bring their guns to polling places, Attorney General Ken Paxton said in a nonbinding opinion Monday. Presiding election judges, who are generally civilians appointed by local party officials to head up a team of poll workers, do everything from settling election disputes to doling out “I Voted” stickers. They’re charged with keeping their polling places calm, and they have “the power of a district judge to enforce order and preserve the peace,” according to Texas election law. “A court today would likely follow the analysis in Hooks when construing the statutes in their current form,” Paxton wrote. Still, the attorney general noted that there are some polling places where even election judges would likely be blocked from carrying firearms — for example, polling places on certain campuses and on private property where guns are prohibited and proper notice has been given. Manny Garcia, deputy executive director of the Texas Democratic Party, slammed the opinion, criticizing Paxton for "turning polling locations into O.K. Corral."